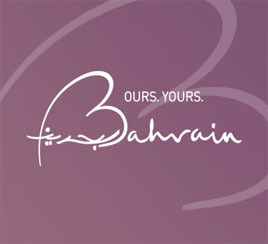 The Chief Executive Officer of the Bahrain Tourism and Exhibitions Authority (BTEA), H.E. Shaikh Khaled bin Humood Al Khalifa, attended the ‘Les Clefs d'Or’ pinning ceremony organized by the Bahrain Hotels Concierge Group (BHCG) at Four Seasons Hotel Bahrain Bay on the 17th of July 2018. The ceremony was initiated by the Founding President of BHCG and Chief Concierge of Four Seasons Bahrain Bay Hotel, Mr. Khalil Al Yaman, and was attended by the Zone Director Arabian & Western Asia of Les Clefs d’Or and President of Les Clefs d’Or United Arab Emirates, Mr. Abbey Sam, the 1st Vice President of Les Clefs d’Or, Mr. Kamal Jalayath, the 3rd Vice President of Les Clefs d’Or, Mr. Oussama Itani in addition to the General Secretary of the Organization, Mr. Mahesh Brid. General Managers from Four Seasons Hotel Bahrain Bay, Al Areen Palace & Spa, Gulf Hotel, Westin, Crowne Plaza, InterContinental Regency Bahrain and Wyndham Grand Manama also attended the ceremony. H.E. Shaikh Khaled bin Humood Al Khalifa and Mr. Abbey Sam awarded the first Bahraini female member of Les Clefs d’Or, Concierge at Four Seasons Hotel Bahrain Bay, Saleha AlWazzan, Concierge at Al Areen palace & Spa, Mohammed Abdullah Jaber, Chief Concierge at Wyndham Grand Manama, Saud Abu Hanak and Concierge at Wyndham Grand Manama, Anthony Oketch with the prestigious Les Clefs d’Or – ‘Golden Key’ after passing the interview that was held by BHCG on the 16th of July 2018. The pins act as a symbol of exceptional service and experience. Members of the new executive committee were also announced during the ceremony. “I would like to congratulate all those awarded with the Les Clefs d'Or which acts as recognition of a concierge’s knowledge as well as meeting world-class standards in attending to the needs of guests and enhancing their overall experience during their stay. We look forward to recognizing outstanding concierges in the future,” said the CEO of BTEA, H.E. Shaikh Khaled bin Humood Al Khalifa. BTEA’s support towards BHCG comes in line with its overall strategy aimed at developing and strengthening the tourism sector under the slogan of ‘Ours. Yours.’, which contributes towards the Kingdoms economy and the 2030 Economic Vision.